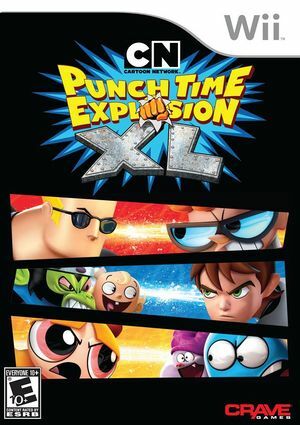 Cartoon Network: Punch Time Explosion XL is a crossover fighting game featuring the stars of Ben 10, Dexter's Laboratory, PowerPuff Girls, and more. Cartoon Network: Punch Time Explosion XL is capable of using both GameCube controllers and Wii Remotes. If a physical controller is set to emulate both a GameCube Controller and a Wii Remote concurrently, it will operate both devices at the same time. To fix, migrate controls to use separate physical controllers. Invalid Read errors occur repeatedly during the new game intro video. This can be corrected by disabling Dual Core. Refer issue 7143. The graph below charts the compatibility with Cartoon Network: Punch Time Explosion XL since Dolphin's 2.0 release, listing revisions only where a compatibility change occurred.